Sherlock Holmes meets Karl Marx in this adventure by Lewis S. Feuer. At last, devotees of the adventures of Sherlock Holmes can learn of his most challenging, and, ultimately, his most disappointing investigation. Fortunately, a codicil in the past will and testament of socialist historian and Holmes admirer Professor Harold J. Laski has finally released the one remaining copy of this tale of intrigue from the custodial care of Lewis Feuer. 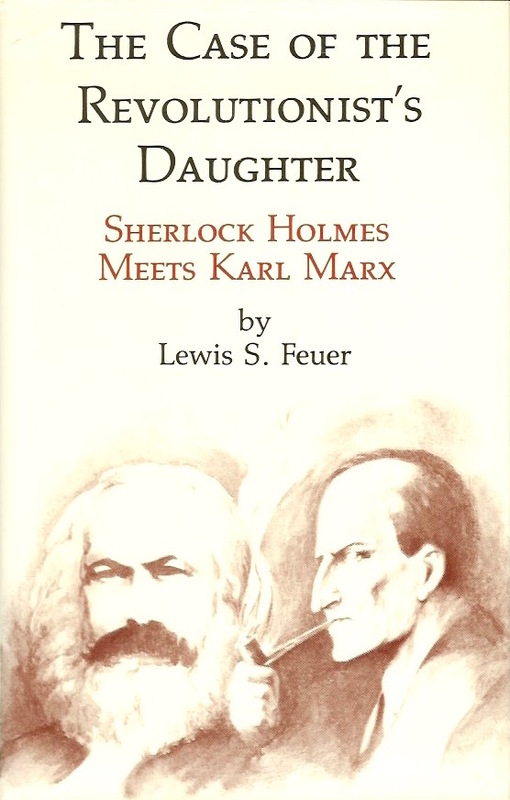 "The Case of the Revolutionist's Daughter" begins with Holmes getting with Karl Marx and Friedrich Engles. The task? To locate Marx's missing daughter, Eleanor, and to return her safely to her parents home. Holmes search leads him into the Bohemian socialist intellectual world of London in 1881. With his trusted friend Dr. Watson in tow, Holmes traces Eleanor's trail from the dark archives of the British Museum library to Kelmscott House, a socialist meeting place where Ibsen plays were read aloud. The famous superseleuths me such luminaries as George Bernard Shaw, Beatrice Potter, and William Morris. They confront the ominous atheist Edward Aveling and his villainous cohort, professor Moriarty, who holds the key to the mystery, and to Eleanor Marx's fate––which Holmes argues, may have been determined long ago by her father's philosophical stance and human failings.